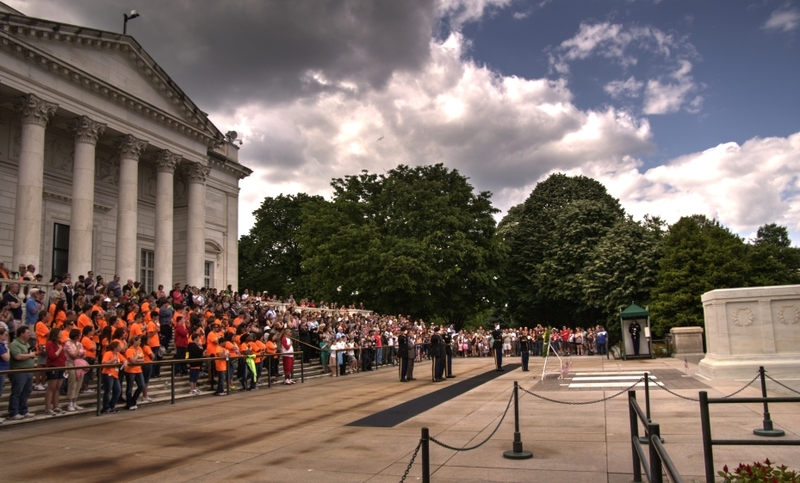 We started off our 25th reunion year with a great event in Washington, DC — a wreath-laying ceremony at the Tomb of the Unknown Soldier on Saturday, 24 May 2014. The Fife & Drum Corps and the US Army Drill Team performed prior to the ceremon y.
COL James Markert (H2 ’89) was the Regimental Commander, 3d US Infantry Regt, “The Old Guard”, at the time and he coordinated with Dave Kammen (F1, ’89), Director of Operations & Plans at Arlington National Cemetery, to schedule this event. 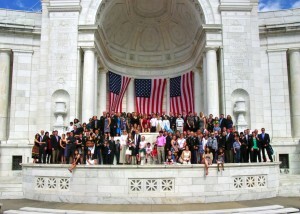 Over 50 classmates a nd even more family members attended the day’s events, ending up at the O-Club for a few drinks. Make sure to join us next time! There’s no place like Arlington on Memorial Day Weekend.